The Heathrow pod service is a glimpse of the future and in particular the nearer future of driverless cars. At some time in the future you will be able to go from any point A to any point B br driverless vehicle. This will mean that the system has detailed knowledge of just about everywhere and can ramp from city speed to inter-city speeds. But the nearer future is likely to see systems that run over known networks - such as current-day bus routes and run at citybus-like velocities with a maximum of 25-40 miles per hour. I have been thinking about the design, usage and economics driverless cars for a while now. It's time I get some of these thoughts out of my head and online. The following is just a brain-dump. There are no references. No diagrams/pretty pictures. And not a lot of detail. But just a whole bunch of mostly fun thoughts. For people without smartphones or who wish to travel anonymously, printed pre-paid embarkation destination tickets would be available. Ditto voice or keypad activated services. Most journeys tied to mobile phone owner of record. What to do about stolen phones? Loud noises, voice recognition of key words such as 'help' and 'stop'. Buses have to do the full length of the route. This usually means empty buses at the beginning and end of routes and not enough buses during rush hours. In contrast driverless cars can return to high demand locations as soon as passengers are dropped off. Vehicles might be able to bunch together and ride with windows open to provide that special public we-are-riding-together aura. Kiosks might be available at points throughout a city to enable booking a ride. People with limited financial resources could ride vehicles at no charge that would otherwise be empty and returning to a rush-hour congestion point. Perhaps two person vehicles could also accommodate one or two passengers standing up. People willing share would qualify for a discount. People willing to stand would qualify for an even bigger discount. Are there special cars to transport bicycles or do all cars come with that capability? Are cars wide and seat two abreast or narrow and seat one behind the other. Or can seats and wheels pivot so riders can choose how to configure the car? Taxi-drivers, bus drivers, dispatchers, gas station attendants and all their ancillary HR and support staff must look for new jobs. Private human driver driven car usage in cities just about dries up. Something like 20% of downtown areas is devoted to parking and space for cars driving around looking for spaces or withing for pickups. Almost all of that space now becomes available for things such as low-cost housing parklets, bicycle lanes and more. Well, that was fun! And there's a lot more to be added in future revisions. There's only one issue: Who is going to do it and when? What city is likely to sell all their buses and sack all their drivers? I don't see any American city willing to take on such a battle. Certainly if a new city of any significant size is being planned then a driverless car system will soon be a no brainer. But there are not that many new cities being built these days. Except for China. And, thinking about the current state of air quality in China, there would be a huge justification in building an all electric transit system. The other locations of interest are the ancient but prosperous and free thinking cities of northern Europe. Cites such as Stockholm, Amsterdam or Copenhagen would be even more beautiful and livable if you could take away the messes that private gasoline engine cars have created in those cities. So I will leave with this thought: it could will be some of the oldest and most historical cities in the world that will drag the rest of the kicking and screaming world into a kinder gentler future. Terrorists and abusers: two groups of (mostly male) people are very much in the news this week. Press and politicians are using words such as 'destroy' and 'punish' as the proposed remedies. But are these words not the equivalent of saying: 'let us terrorize the terrorists' and 'let us abuse the abusers'? By the time the terrorist or abuser acts, their mental state is well-formed. It's very late, often too late to adjust the mental processes of such people. And even if you could 'get even' or trade an 'eye for eye' with such people, you would be doing little to stop their followers. What really needs acting on are the circumstances and conditions that allow and enable these types of thoughts to grow and develop in young people without consideration of the consequences of their actions to society. In turn these thoughts beg the question: What are the steps that people should take to identify and prevent abusive or potentially terrorizing behavior? Living and working in San Francisco - a place where the Internet touches the ground - I can't help but wonder what are the technologies and the networks to be developed that will be part of the eventual solutions to these grievous issues. And who will be the people that will lead this engagement with creating a more equitable world? Three recent articles in the New York Times discuss issues with current life in France. All three articles are for the most part somewhat clueless. Only the final article, in the final sentence, of the final paragraph finally begins to not bad (as in 'my bad', 'your bad'). Young French people need to go abroad, to work, to travel, to see how things can work differently in cultures and countries that don’t play by the same old rules — and then come back to France, and reinject some of the energy and enthusiasm they’ve absorbed to help reconcile the broader population with the global reality that France has shunned for far too long. Mr Marquardt, where would you like the young people to go and find work? Spain, Greece, Poland, Romania? These countries are all within the EU and so immigration and travel costs are not a big issue. But do you really think that a young French person will walk into a job in any of these places? OK, so how about China or Chile or New Zealand? Travel costs become a huge issue and what is the likelihood of immigration officials in any of these countries looking kindly at the work permit application of a young inexperienced French person? And it is not as if that the French do not travel. Go to almost anywhere in the world and in the local pharmacy you will find French perfume, at Saturday's wedding you will be served Champagne and at your beach picnic you will eat French Brie served on a locally-baked baguette. How did those products and their French exporters get to whatever remote place you happened to be in? There's a very good chance the French exporters - and you as well - traveled there via an Airbus assembled in Toulouse and the goods arrived via CGA CGM, the third largest container shipping fleet in the world. There's more. The French government provides financial support to over 600 schools around the world so that French-speaking people around the world can educate their children in French. Various state-sponsored internship programs send thousands of young French interns to companies and government agencies around the world. The jobs for young people issue is not just a French issue. It's that there are not enough jobs to go around. Mr Marquardt's article is simplistic at best. The test does not evaluate the most relevant of students’ capabilities.. The French are so busy wallowing in their existential estrangement — a state of mind Camus described as “Should I kill myself, or have a cup of coffee?” — that they don’t even have the energy to be rude. 'The French' is like 'The Americans' or 'the Chinese'. When I read words like this my eyes begin to roll. Yet another pronunciation of a vapid generalization is about to occur. How can you adequately state the summary of all the emotions and knowledge and well-being of millions of people in a single sentence? In others words, unhappiness has been bred into the French bone. When I read these words I laughed and nearly fell out of my chair. Kindly allow me to deconstruct this sentence. Here are the important words of the sentence: 'over espresso at Le Rostand across from the Jardin du Luxembourg'. I know 'Le Rostand' very well. There are few public places in the world where you will find people as good-looking, well-dressed, engaged and serene as at 'Le Rostand'. After a dozen visits or so, you become part of this ( even if it means buying a new jacket) . If I were not such an atheist I would say that places like 'Le Rostand' become a proof of the existence of god. So, yes, by all means let us discuss the depths of French unhappiness, but let us choose to do so in a French heaven. Favorable: every tech exec will want the large black soup can to be seen sitting on their desk. First fun-looking desktop in a decade. Pricing: I'm guessing models will range between $1,999 and $10,000. "Wow, you have a computer that could have cost $10K!?!" Lots of up-selling and up-posing (is that a word?) possibilities. Fail: my first impression agrees with Ryan Katkov's post above. It's a bit messy in there. Do remember, however, that the OS is still at an early stage. There will be many clean-ups before iOS 7 ships. Now we can be post-anti-skeumorphic. Yay! And thanks to PaulM for the link. The sounds people - especially young people - make in between the words they are saying are fascinating. The following video provides a studied look at seven of them. I don't find such sounds particularly annoying. I wonder if such sounds can be considered as words and therefore part of a vocabulary. Also I wonder if the sounds cross borders. Are they like the 'home' and 'refresh' icons in your browser and work in any language? 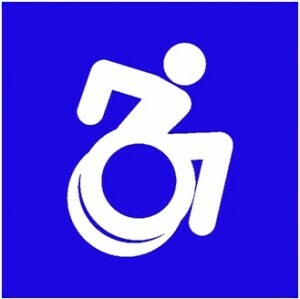 You can be disabled and you can be fit. My feeling is that the robots will take the drudge jobs. We will (somehow) in response create more jobs for artists, teachers, musicians, semi-pro athletes and other creative, artistic and helpful people. 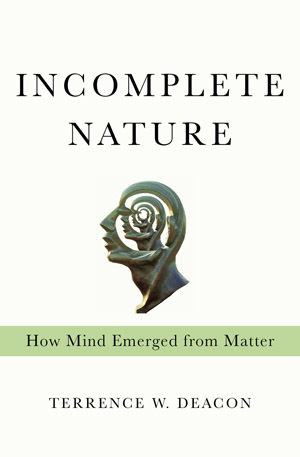 My current favorite book is Terence Deacon's Incomplete Nature. It's about an attempt to resolve René Descarte's mind-body dilemma while obeying the rules of the good contemporary science. Kant, Darwin, Einstein. Final cause, DNA, quantum mechanics. It's got them all and more. It's a bloody hard book to read. The GitHub web site is where over three million programmers keep their programs in the cloud. The nice thing is that you can use GitHub for other uses than for merely keeping software. My work, which comprises content, appearance and behaviors, is still very much a work in progress. From time-to-time, I will inform you here of worthy developments. And, well, just remember what they say: "You can't enjoy the show without a program!" Yay! I made a drawing. Actually, I copied Jean Cocteau. I met a nice person at a party the other day and we talked of the future of the book. So I updated some of the work I had started in 2008, sent it him and include it here. Anybody else interested in the future of the book? If I am to write about Incomplete Nature (see previous post) then I need a category or label for the topic. My current name seems to be PhiSci for philosophy and science - and it's a play on Si Fi as well. Well, what would an icon for this topic look like? How about electrons swirling around a brain? I am reading again Terrence Deacon's Incomplete Nature. This time I am starting with the epilogue and am reading a chapter at a time in reverse order. I'm now at Chapter 15. It's a hard book to read. It's a fun book to read. The process is like trying to solve a puzzle - where the obstacle you are trying to overcome is the slowness of your own brain. It's also a scary process. I think the reason I am reading this book is because I feel that it may be a shortcut. Instead of spending thousands of hours trying to formulate an education based on Kant, Kierkegaard, Kuhn et al, one could jump onto a more modern, scientifically verifiable foundation and use this new, unified structure as the basis for building a personal cosmology faster miles an hour. Well, we all know about the "10,000 Hour Rule" - that it takes 10,000 hours of work or effort to master a particular skill or discipline. So, shortcut or no shortcut, if I get into this science/philosophy thing then it will take years to get out to the other side. And even if I did - then what? Scary thing #2 then pops up. You run into the conundrum posed by that very smart lad, Paul Graham, in his essay "How to Do Philosophy"
The proof of how useless some of their answers turned out to be is how little effect they have. No one after reading Aristotle's Metaphysics does anything differently as a result. If I say this, some will say it's a ridiculously overbroad and uncharitable generalization, and others will say it's old news, but here goes: judging from their works, most philosophers up to the present have been wasting their time. These seem to me what philosophy should look like: quite general observations that would cause someone who understood them to do something differently. And this is what I hope for. It would be a fun and fine thing to be able to apply what I learn from Deacon and others to the other topics I am interested in - including follow-ups to Christopher' Alexanders A Pattern Language and my own investigations into the visual display of huge amounts of data. I have started the process by beginning to write a summary or synopsis of each chapter - which I plan to publish here and elsewhere as soon as some of it begins to look as if it might look like something. And given my extremely low standards of quality, I will probably publish way too early. If it's worth doing then it's worth doing badly. Right? It is a nice to draw something on a digital device and then have the drawing 'appear' on the web 'just like that'. The 'A Boat' drawing is an approximation of such a process. The boat was dawn on a Nexus 7 using Skitch. Skitch is a very nice drawing tool produced and maintained by the Evernote team. The underlying data is saved by Evernote. From Evernote you can obtain a URL to a Skitch drawing. Add that URL as the source to an HTML IFRAME tag which in turn is embedded into a Blogger post while editing in HTML mode and - presto - the drawing is publicly available. Here's the code for the boat drawing. There is a significant side effect: any edit to the original Skitch drawing automatically updates Blogger and appears in the post with the next refresh. Whether this is a good thing or bad thing could be debated. The modern tradition is that once a blog post is posted it should not require further editing. Perhaps this is the precursor to post-modern blogging. I have had another day with my Kindle Fire and I am perhaps a bit less gloomy than yesterday. But now that we are in the land of milk and honey – device-wise anyway – we can be ever so picky. Incomplete Nature - a book by Terrence Deacon that came out this week is a work that I have been studying for several months – having been the recipient of some of Deacon's early drafts. Although I prepared a number of comments on the text for Deacon, the book is so dense that I cannot say that I fully understand it as of yet. What I do recognize is that Incomplete Nature is an important book and perhaps one of the most important books to be written on what it is to be conscious and what it means to think about things. It is far too early, however, for me to even begin to think of how I would structure a review of the book. Part of the process of learning to deal with such a complex work is to approach the work from a number of different points of view. One approach I am taking is perhaps a bit wacky and that is to build and manage the Facebook page for the book. Which brings me to this: I need help! In order to register a username on Facebook and thus be able to obtain the elegant facebook.com/incompletenature URL one needs to have twenty five people "Like" the page. As of tonight there are just three Likes. So please, please - if you are on Facebook - click on the link below and when you get to the Facebook page then click on the Like button. Thank you! 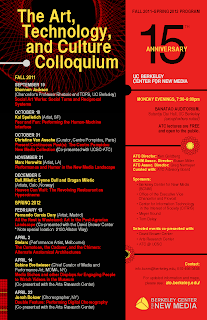 One of my very favorite activities is attending the lectures at the Art Technology and Culture (ATC) Colloquium at University of California Berkeley. 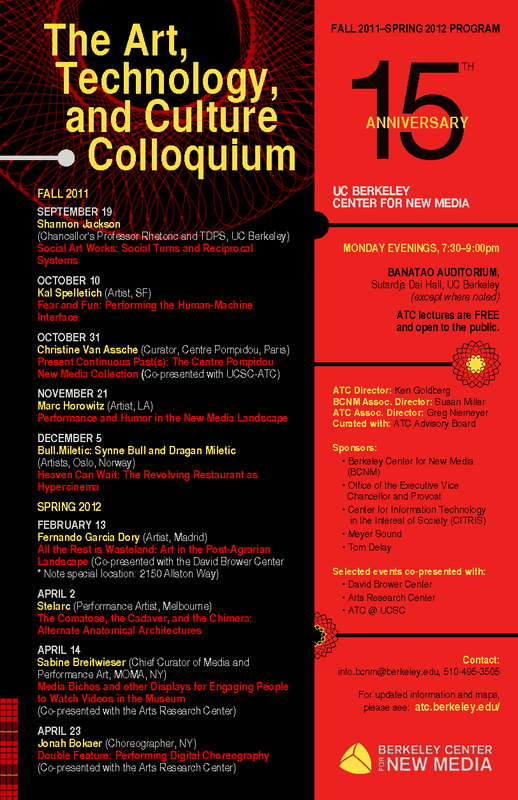 This is a project run by the Berkeley Center for New Media. Over the past 15 years, Professor Ken Goldberg and his colleagues have invited some of the most interesting, unique and innovative individuals on the planet to come and talk to students of new media. The lectures are open to the public and I have become a regular member of the audience. So much so that I've been asked to help out on the ATC's Facebook page. In these times when money is ever so precious, it is really nice for an organization that needs help to ask for help rather than money. In my case, I happened to do a little bit of both but my real pleasure is in the helping part. Instant Video via Amazon Prime is awesome. Free movie streaming. Accepts Gmail but no support for Google Docs, Maps, Calendar etc. I use Google Apps frequently every day - so this is a deal-breaker for me. I am already a subscriber to the New York Times digital edition. But it looks like I would have to subscribe again in order to read it using the Kindle version. It's beautiful hardware. Bright and very responsive screen. But for the moment I am dismayed by the software and content issues. A quick post on a cleverly made 'bot. There is an upbeat story in Techcrunch today by David Kirkpatrick about the current state of technology in the world today. The fastest-growing resource in the world is computing power and storage. And yet in most every country in the world today, too many people are looking for work. The only significant exception is the technology sector. Every major and minor player in the San Francisco Bay Area is looking for talent. Ever since I can remember, I have always wanted to be somebody who draws things. For good portions of my life I have been able to fulfill this ambition. There was an angry and strong response to my post on the decrease in crime is San Francisco here.